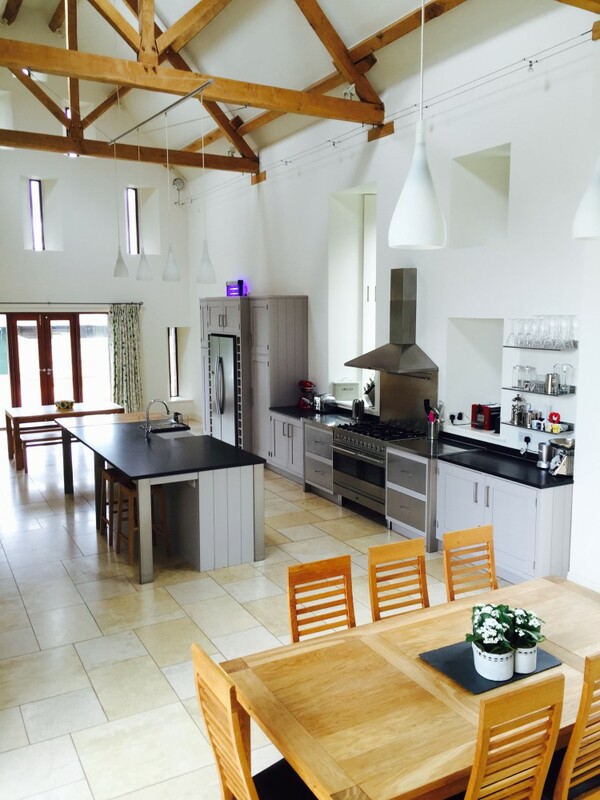 This Hand Painted Kitchen project is housed in a truly exceptional Barn Conversion just outside Ross-on-Wye, Herefordshire. Originally a maple build, it is quite unusual in that it has metal shrouded drawers and posts. 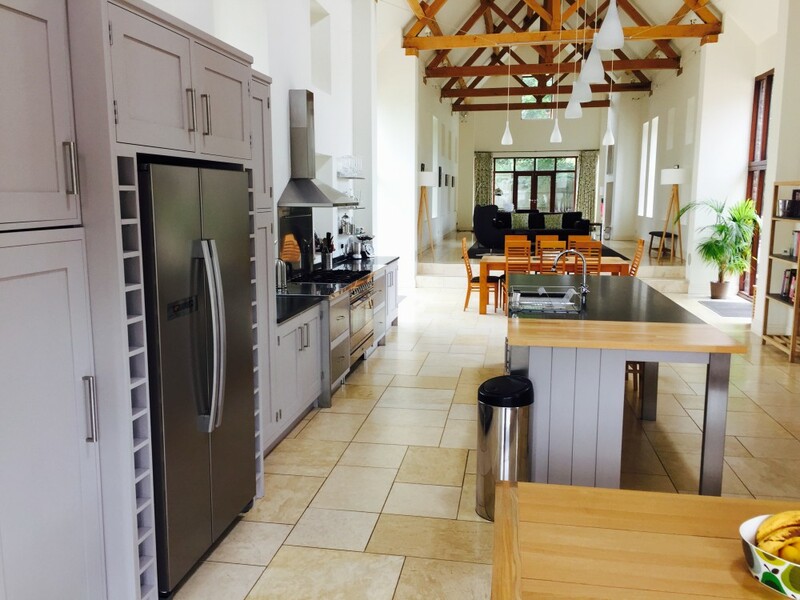 A real statement Kitchen – I could see the potential! 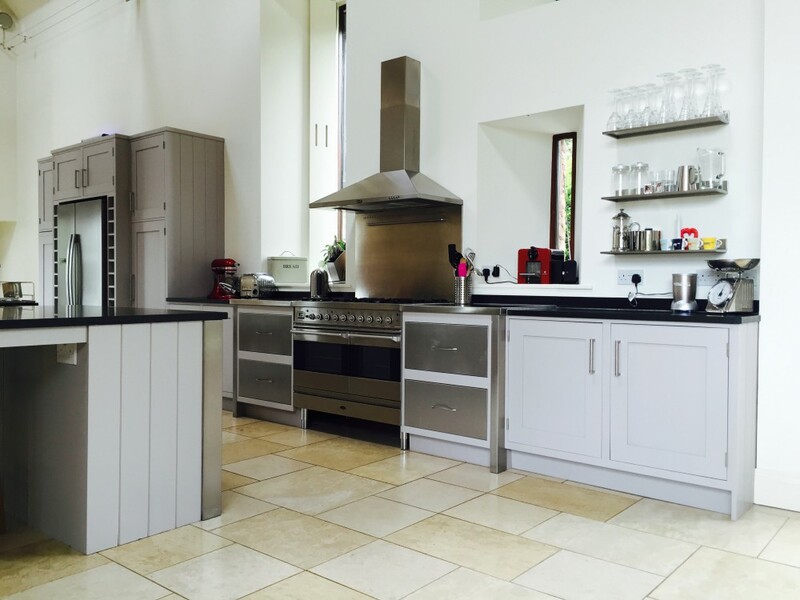 I was initially sent photographs of the Kitchen before my clients had actually moved into the property – I have to admit to looking forward to this project ever since my clients booked their project in with me. 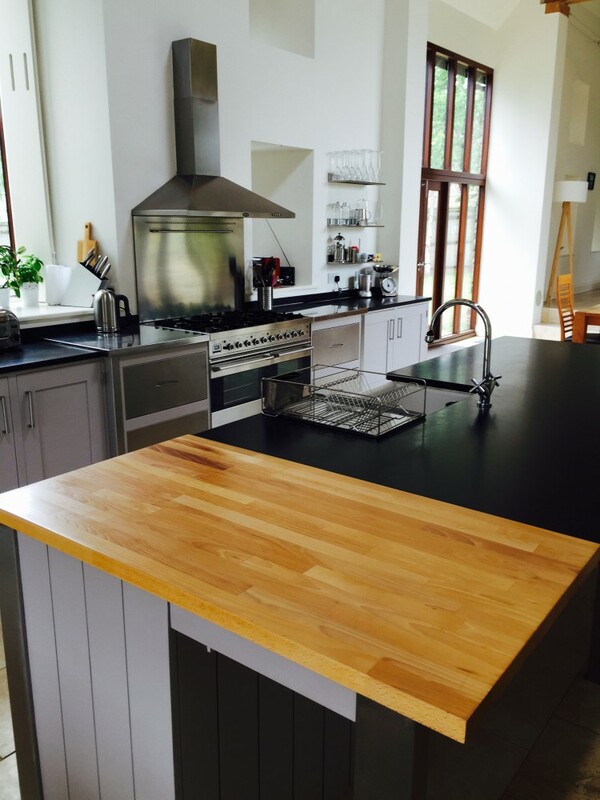 As is my system, on day one, all worktops and flooring are protected with good quality lining paper – all worktop edges were taped and I got to work degreasing the substrate. For this project I used Fluxaf Pro Clean neat, then neutralised prior to sanding. I used a combination of my Festool RTS400 and Mirka DEROS coupled to CTL SYS and CTL Mini extractors… a great partnership in “Dust-Free” sanding (99.9% dust extraction), each running Mirka Abranet for excellent finish and dust extraction. 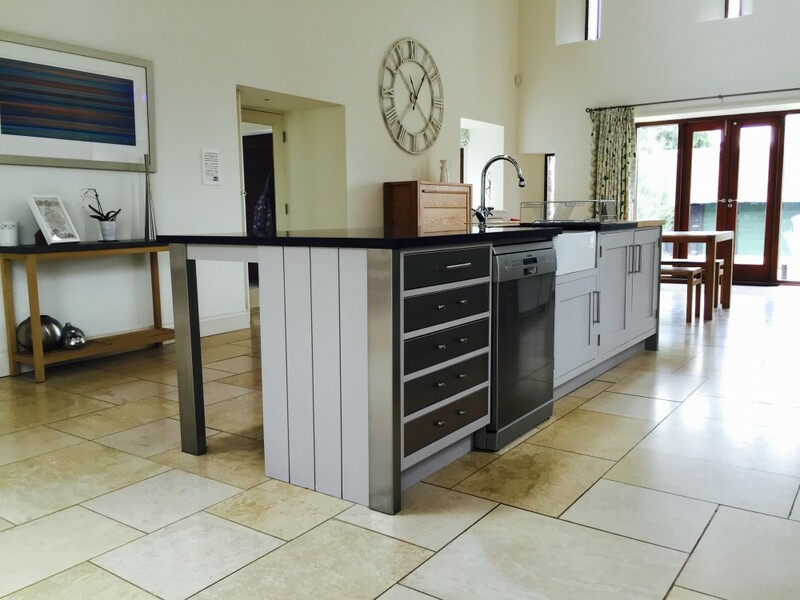 Once all preparation was undertaken it was time for paint – the base coat (Pegaprim Isofix mixed to the equivalent of “Perennial Grey”) was applied – by my FOX brushes and rollers (I am the developer of this brand of brushes, so it is of extra interest to me). Any defects were filled and a second base coat was applied… The first coat is “nibbed” down in between coats with 320 Abranet to produce a fine finish. 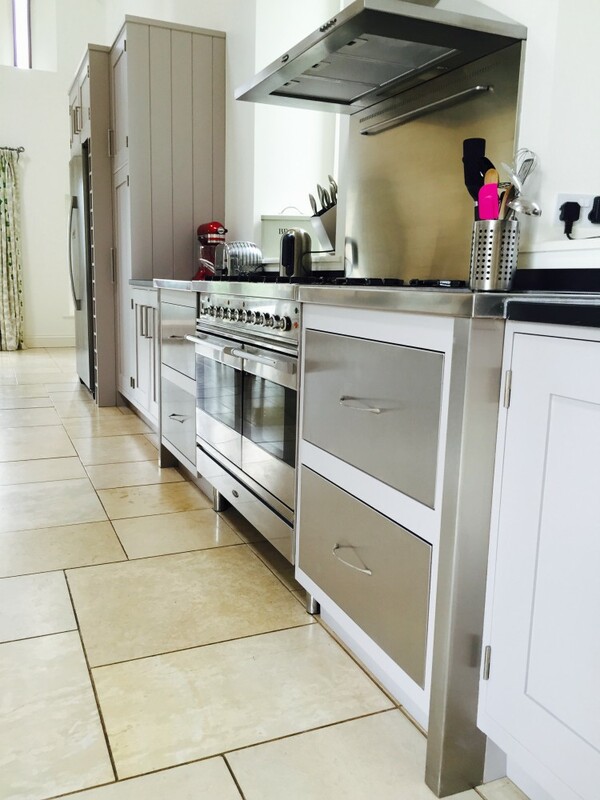 Top coats of Tikkurila Helmi (5% sheen level) were applied, new handles fitted and all protection removed, the results were breath-taking (in my opinion) – Hand Painting this Kitchen has lifted it to a different level; a bespoke Kitchen that is now as remarkable as the property which houses it! 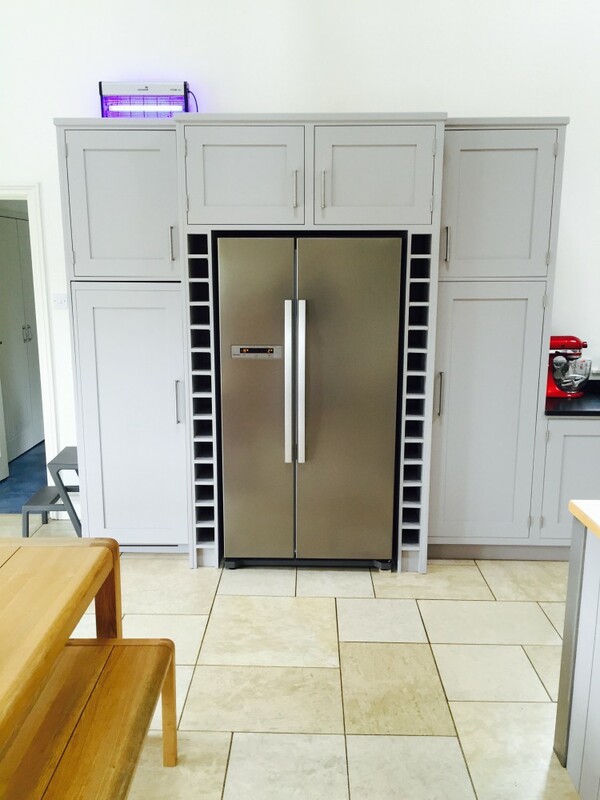 “You have done a fabulous job and have totally transformed our kitchen. We are are very pleased with it indeed and it was a real pleasure to have you in our home! 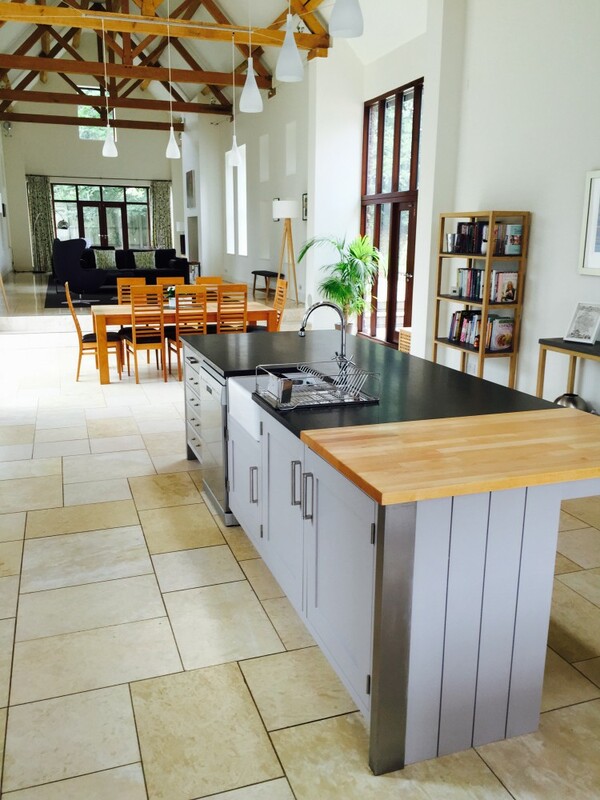 This entry was posted in Uncategorized and tagged Festool CTL Mini, Festool CTL SYS, Festool RTS 400, Fluxaf Pro Clean, Fox Brushes, Hand Painted Kitchen, Hereford, Herefordshire, Kitchen Painter, Maple Kitchen, Mirka Abranet, Mirka DEROS, Pegaprim Isofix, Ross-on-Wye, Tikkurila, Tikkurila Helmi, Traditional Painter, West Midlands on August 14, 2015 by mjguestltdblog.